Flowers can’t solve all problems but they’re a great start. Flowers are associated with natural beauty and are used abundantly for decorative purposes around the world. The natural diversity among the flowers in terms of colour and fragrance is astonishing. The radiance each flowers emits is indeed infectious. We go through our day without noticing the small things in life. But on the rare occasions that you do see a beautiful flower in full bloom, it is sure to bring a smile to your lips. The sweet smelling flowers are used to create perfumes and to add an aesthetic appeal to any environment. They make the perfect gift for a happy or mournful occasion. Though we do not give it much thought, flowers are not only those that bloom in the day time, but there are also those that blossom in the dark of the night. We give you a list of the most beautiful and aromatic night blooming flowers that you must catch a glimpse of. 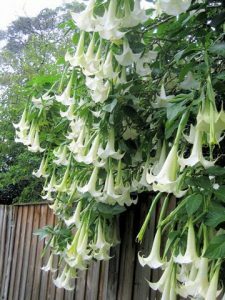 Also known as Angel’s Trumpet, this plant is poisonous and night blooming. 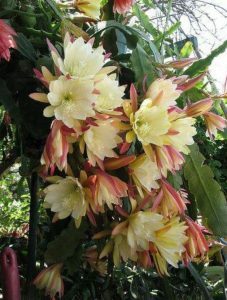 The plant produces trumpet shaped flowers that hang down and are white, yellow, orange or pink in colour. This tree sports large flowers that bloom for a week at a time with the full moon. 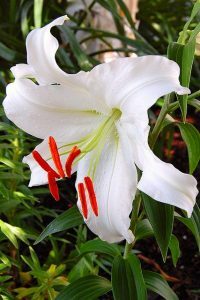 It grows better in well drained soil and if planted in warm climates. 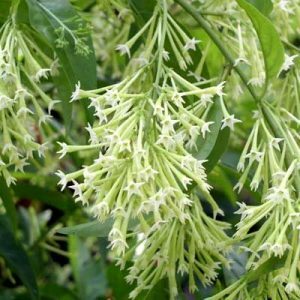 Commonly known as night blooming jasmine, this plant has tubular greenish-white flowers which bloom in warmer months and produce a strong, pleasant fragrance which is known to spread upto 20 feet. It is a woody evergreen shrub that is commonly found in West Indies and South Asia. The plant blooms from spring through fall. The flowers and berries of this flower contain toxic elements and should be planted away from the reach of children. 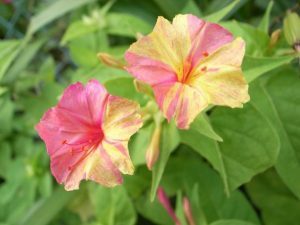 Mirabilis jalapa, famously known as the most pleasant smelling flowers in the world. They come in a variety of colours including red, pink, blue, yellow and white blossoms. Different combinations of these colours can be found on the same four o’clock plant. The flowers usually open from late afternoon onwards releasing a lemony spice scent and close in the morning. New flowers open the following day. They do well in full sun or partial shade. The flower hails from tropical South America and it is known to grow well in tropical and warm temperate regions. 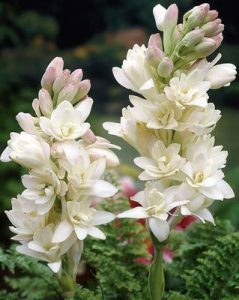 Polianthes tuberosa, is a richly fragrant bulb which has a long history in the world of perfumery and is widely grown in the south of France. The plant bears flowers of a pink-cream shade, each having six sword-shaped petals. Originated from Mexico, it is predominantly found in the southern hemisphere. The flowers also have significance in many religious ceremonies around the world. It is used in traditional Hawaiian and Indian weddings for decorative purposes. This flower is known for blossoming after a summer rain. 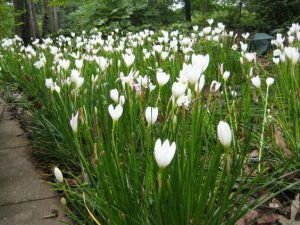 It has a low foliage and the flowers bloom in various colours of rose, pink, yellow and white. 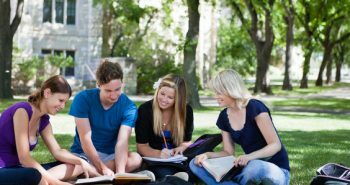 The plant requires full sun to a few hours of shade or filtered light. Wisteria floribunda, is something between a woody vine and shrub. The wisteria blooms in spring with showy, cascading flower clusters that have quick-growing colour. The vine may grow 10 feet or more in one year. It takes several years before the white and lilac clusters emerge. Sun is essential for the plant, it grows in partial shade but it won’t flower. The night scented orchid is a tropical perennial plant with white flowers. It is found growing on tree, thickets and in swamps in the Southern counties of Florida. It is also commonly known as the ‘night-scented Epidendrum’ and it emits a scent at night or in the evening. This plant is listed as endangered by the state of Florida due to destruction of habitat and over collecting. Oenothera biennis, is a 3 to 5 foot tall plant and has bright yellow, pink or white sweet-smelling flowers. 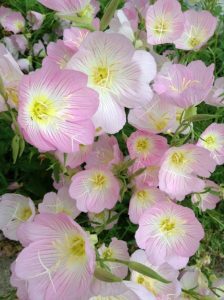 The evening primrose is native to North and South America. Other names include sunups and sundrops. The plant has fragrant bright yellow flowers than can perfume an entire garden in the evening hours. This flower is used to cure any serious insect or disease problems. The flowers attract hummingbirds and are a good addition to your garden. This plant spreads at an alarming rate, keep it under control unless you want it to take over an entire area. 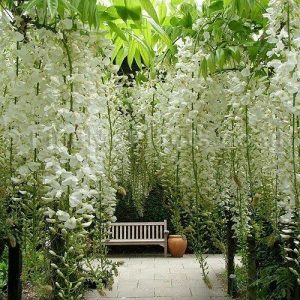 The vine ipomoea alba grows to 15 feet, unfurling aromatic white blossoms. 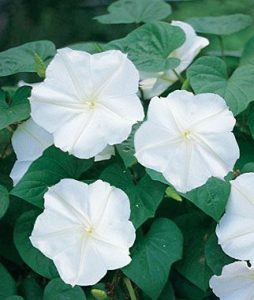 The moonflower is a night blooming fragrant beauty that has white-pink blossoms that resemble a full moon. The flower is also called the tropical white morning-glory. It is found in Northern Argentina to Mexico and Florida. These species are native to the northern hemisphere. This oriental hybrid is known for its intense fragrance and night blooming flowers. 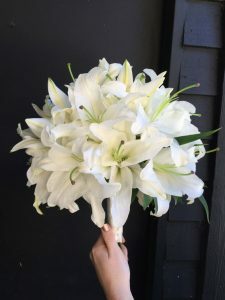 Its large white flowers are widely used for wedding decorations and can brighten up any summer garden. 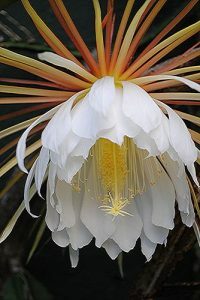 This night blooming beauty is a member of the cactus genus that is found in Mexico and Southern Arizona, however there are different types of night blooming cereus in the world. It blooms only for a single day in a year, between June and July. It is a scented flower which opens as night falls and then closes forever with the first rays of the morning sun. The white flowers are fragrant and trumpet-shaped. Other names for cacti with this habit are ‘princess of the night’ and ‘honolulu queen’. 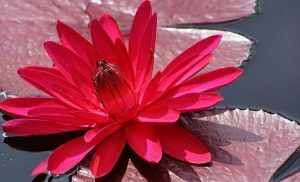 The Red Flare is a tropical water lily with bold red blossoms that float high over ponds. The magenta red flowers are slightly fragrant and the plant can produce six or seven blooms at a time. The plant has a large foliage even when not in bloom. They bloom from mid-summer to early fall.